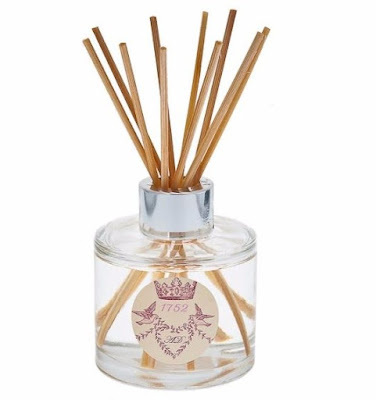 WIN #7: A 1752 AD Room Diffuser From Make The Most Of! Make The Most Of believes in Great British businesses, the backbone of the UK economy. By providing a shop front, e-commerce platform, directory and marketing hub, they make the most of talented British businesses. By sharing knowledge, skills, creativity, innovation and experience, they enable the growth of a dynamic networking community. Their talented team bring to life, a vibrant creative digital marketing and learning community, to save businesses time, expense and confusion. 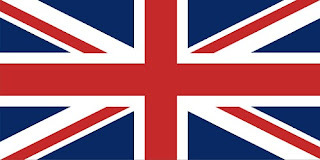 It's important to shop at home, shop British to ensure our economy grows, it's important to buy British products to keep British brands and companies in business, and who doesn't love a good old British product living in their homes? Make The Most Of have kindly put aside a 1752 AD Room Diffuser for one lucky reader/visitor of Unique Young Mum. This luxury round reed room diffuser is simply beautiful, enhanced by a stylish gloss silver cap, they are sophisticated and effective in any room in your home or office. Supplied with 10 natural rattan stems that absorb and release the fragrance into your home, transforming your mood and enhancing your spirits by adding a touch of luxury into your home. The scented oil diffuser will evoke the halcyon days of late summer and add romance to any evening, whatever the reason or season. The calming effects of the citrus floral scents are highlighted by the overtones of bergamot. Each Reed Diffuser will last between 3-4 months. None of the fragrances or ingredients used in the diffuser have been tested on animals. Comes in a white box with the same label seen on the diffuser with ribbon fastening. Please note: You must at least follow/like both Unique Young Mum and Make The Most Of on at least one social media platform! To find out more about Make The Most Of and to view their full range, check out the official website here.